In terms of airborne manoeuvrability, Mother Nature's flying creations still put our aircraft to shame. So when it comes to teaching drones and other autonomous aircraft how to stay aloft in the worst of conditions, it only makes sense to copy how birds do it. Randomly pointing a high-speed camera at the sky and hoping to catch a bird in flight, however, is not exactly an ideal approach to studying how they manage to be so manoeuvrable. 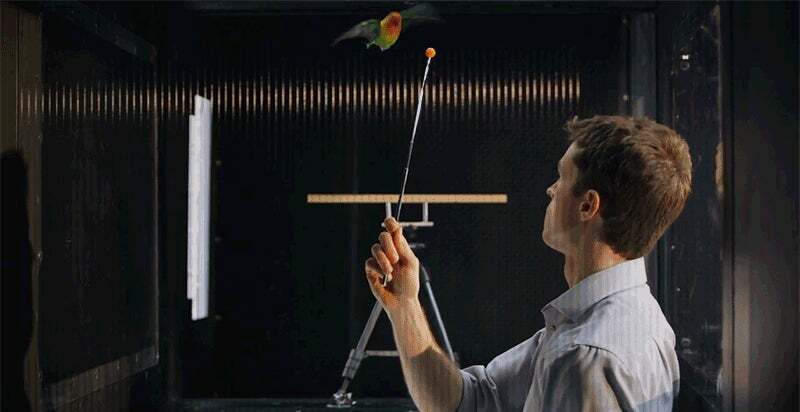 Researchers at Stanford University agree, and have instead built a new wind tunnel that can accommodate birds so they can be studied and filmed in a controlled environment. That's not a new idea — birds have been flown and filmed in wind tunnels before. What's unique about Stanford's creation is a new system that allows precisely-controlled turbulence to be introduced, giving birds an opportunity to show off what they're really capable of when flying out in the wild. By studying how birds deal with turbulence and changing wind conditions, the researchers hope to gain insights into improving how drones and other autonomous aircraft handle the same thing — instead of immediately losing control and plummeting out of the sky. Imitation is the sincerest form of flattery, they say. But in this case, birds have just had far more time to perfect their flying skills and techniques than humans have. Fifteen years of feature creep have left Gmail feeling a little cluttered and over-burdened for some users, including Michael Leggett, who served as the product’s lead designer from 2008 to 2012. So who better to help strip Gmail back to its simpler roots? His free Chrome extension, Simplify, does just that, polishing away all the Gmail excess leaving only its most basic and important functions exposed with easier to find shortcuts.